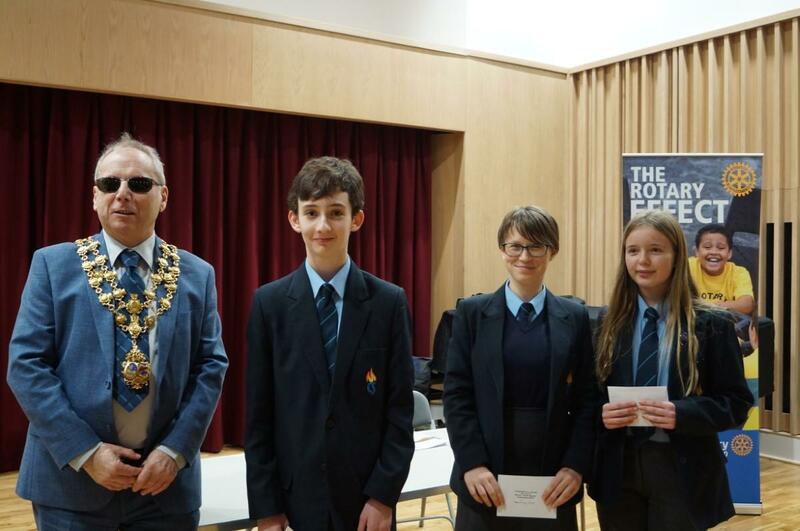 Young speakers from Monmouth Comprehensive, Monmouth School for Girls and Monmouth School met last Thursday in the Youth Speaks competition, held at the Performing Arts Centre, Monmouth School for Girls. 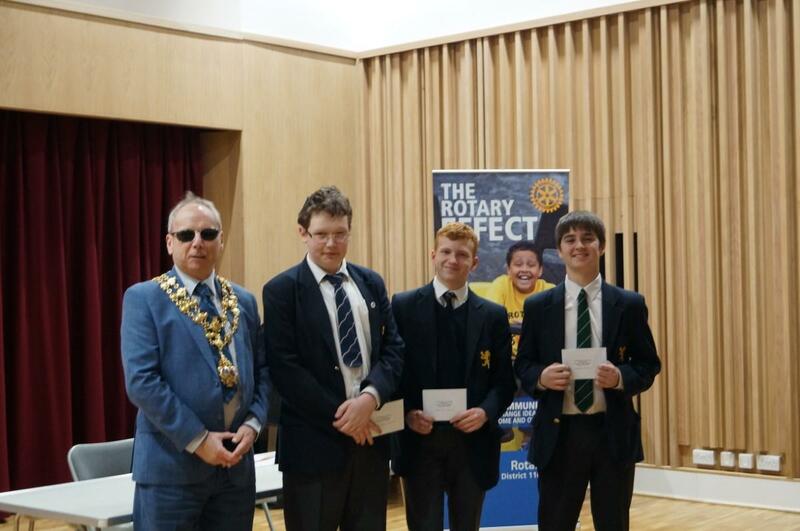 The event, organized by Monmouth Rotary, is part of a UK wide public speaking competition for young people and sponsored by Rotary International of Great Britain and Ireland. Six teams of three students introduced and spoke on topics they chose themselves. The three teams in the Intermediate Category (11 to 13 age group) spoke on “Preparing my future, if I only knew what it was”, “The Internet, a tool or a weapon” and “The problems of modern agriculture and how we address them”. In the judges’ words, choosing between the teams was “incredibly difficult” but the team from Monmouth Comprehensive School came out on top. From the Seniors (14 to 17 years of age) the audience heard views on “Echoes of my parents”, “Women in politics” and “Why we need stories”. The spokesman for the judges, David Evans, praised the high quality of performance and, once again, emphasized that picking a winner had been no easy task. However, the team from Monmouth School won the day. Patrick Chatterton, President of Rotary Monmouth, thanked the students and teachers for their inspiration and effort and congratulated Caroline Bown for organizing such a successful competition. Terry Christopher, the Mayor of Monmouth, very kindly presented certificates and prizes to all the competitors. The winning teams now go on to the District Final at Maisemore, Gloucester, on Saturday, 9th February.